When shopping for the best gas powered chainsaw of 2018, you want to make sure you have a well-rounded chainsaw that is able to take on a wide range of projects that aren’t too complicated or too large. 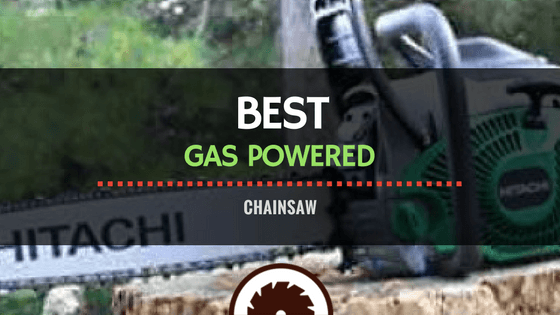 Gas powered chainsaws combine power and mobility and range from light-duty to professional grade model making them powerful enough to take down large trees. 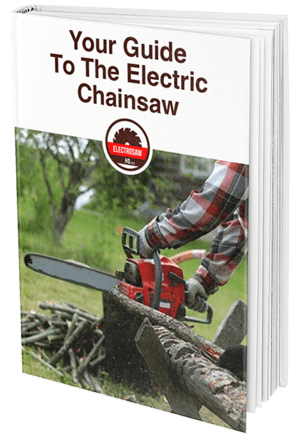 Here are a few tips on what to look for in the best gas chainsaw and a few gas chainsaw reviews to help you start shopping. Your average homeowner will probably need a bar length under 14” for light cutting while those that do medium cutting will want a bar length between 16” to 20”. Professionals who do heavy-duty cutting will want a bar length between 22” to 36”. Find an anti-kickback chain that is intended to be used for consumer-grade chainsaws. The following are the best chainsaws in the market in 2018. It is a pretty durable saw that also features a soft-grip handle that lessens vibrations that are usually found with any chainsaw. The Hitachi also features a combined start lever and choke with the soft-start reducing the force that you need to pull it by 40 percent. If you are looking for long engine life, the Poulan Pro PP5020AV 2 Stroke Gas Powered Chain Saw gives you a bigger engine with 50 cubic centemetres and a twenty inch bar, and, with its chrome-plated cylinder, a prolonged engine life. Even though the Tanaka TCS33EDTP/14 Top Handle Chain Saw with Pure Fire Enginemay seem small with a twelve inch bar and a 32.2 cubic centimetre engine, the smaller bar is sometimes more useful for certain pruning work. Another powerful chainsaw on our list is the Remington RM5118R Rodeo 2-Cycle Gas Chainsawwith a 51 cubic centimetre engine and an eighteen inch bar. It features a typical start that includes Remington’s Quickstart technology that uses electronic ignition. The clear winner of the round up is the Husqvarna 460 Rancher 2-Stoke X-Torq Gas Powered Chain Saw. It features a heavy-duty 60.3 cubic centimetre engine and twenty-inch bar that gives you the largest and most powerful combination in a gas powered chainsaw on our list. This is also a pretty lightweight saw that features a large-capacity engine, an anti-vibration feature, and ergonomics making this is a professionally performing saw that the average buyer could easily use.